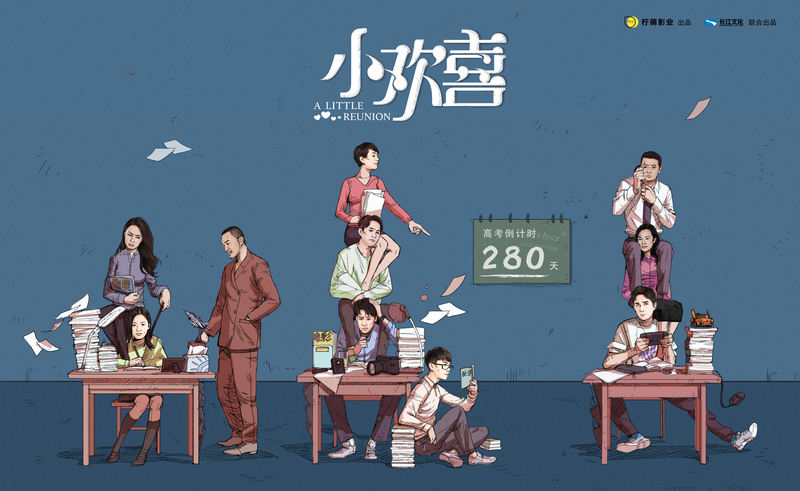 A Little Reunion 小欢喜 takes on the important social issue of university entrance exams (gaokao), and revolves around the conflicts of three vastly different families with kids in their final year of high school. Never Gone原来你还在这里 has one of best young casts of the year, featuring an all-star cast of Li Landi, Hu Xianxu, Li Gengxi, and Bian Cheng as the young versions of the four leads. Here’s some of their stills. The series is set for a November 6th release date on Youku. Fun fact: Since filming the drama, the two leads have become classmates in real life as both entered the same class at the Central Drama Academy this fall. Neihert as crazy nor as fun as Abu Chacha, Abu Dory follows a school romance with a gaming side plot, a X-men side plot, and an ET side plot. Another alien from Planet Duo (Let’s Shake It!) has crash landed on Earth in My Classmate from Far, Far Away 同学两亿岁. The two-hundred-million-year-old general Abu Dory has been asleep since the time of the dinosaurs, but was woken after high school student Xuanmo drowned in the sea. She must now not only try and go home, but also hide herself from an evil scientist who wants to experiment on all aliens, deal with her pesky gamer brother, try not to fall in love with the boy who Xuanmo was in love with, and go through all the pains of a normal teenager. The series stars newcomers Li Gengxi, Zhu Zhiling, Chang Long, and Liu Fangyun.